Happy Halloween Everyone! I hope everyone is having a great (and spooky) holiday! 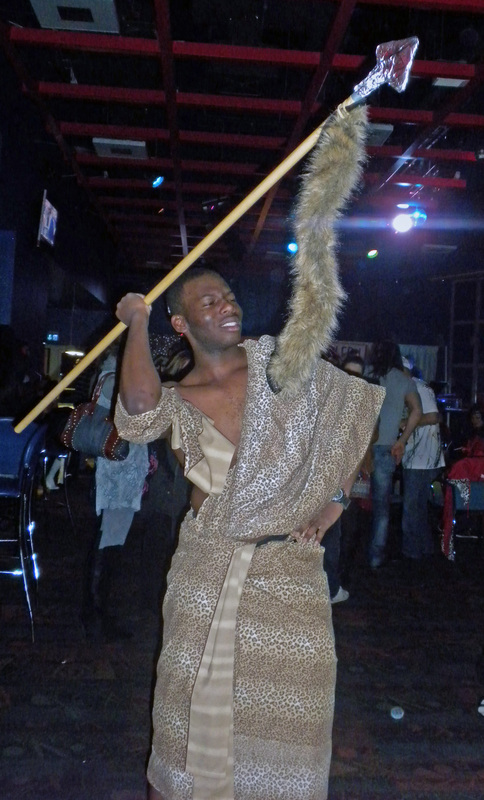 I celebrated Halloween on Saturday night by going to a costume party. 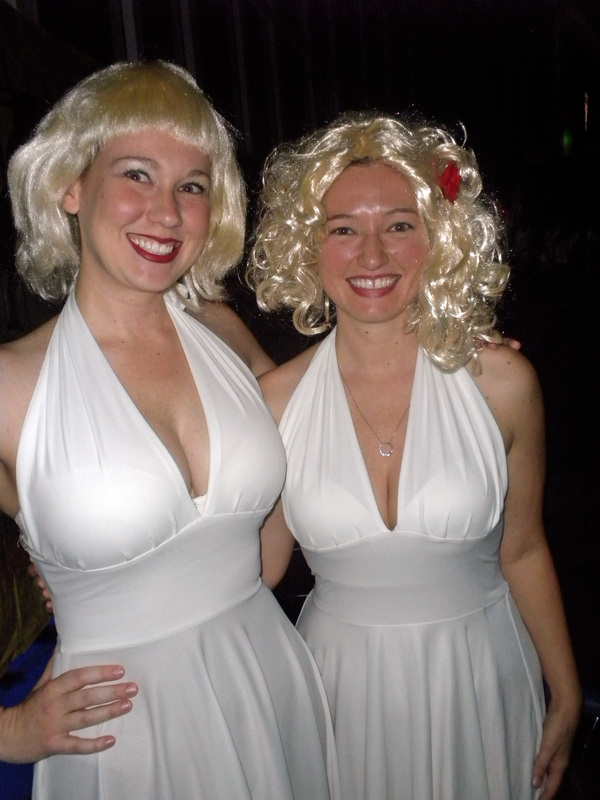 I didn’t plan ahead so I ended up wearing my Marilyn Monroe costume that has made appearances at at least three other parties. The Marilyn wig I had looked more like something a Mad Scientist would have on his head, so I had to dig out an old blond wig that I had chopped up to make it short. Not exactly Marilyn hair, but you get the idea. 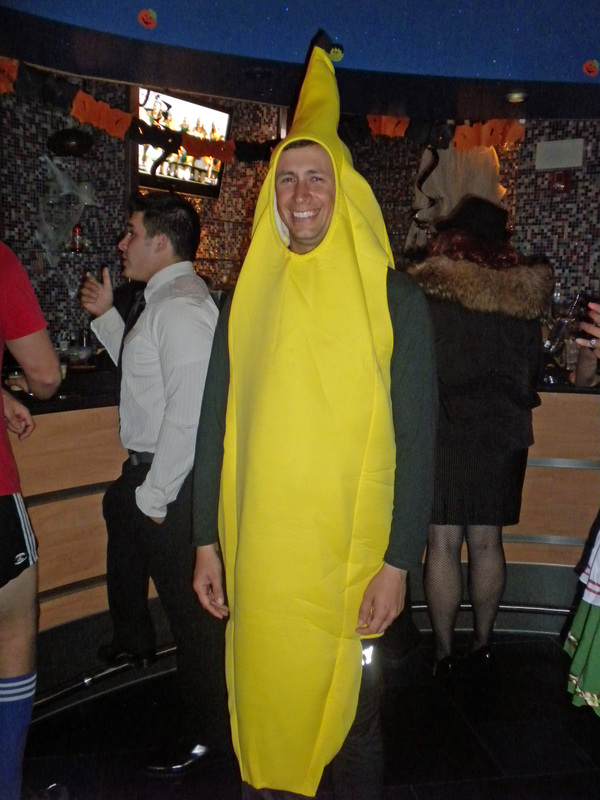 There were some fantastic costumes at the party so I was running around trying to get pictures of everyone. I didn’t get them all, but here are some of my favorites of the night. 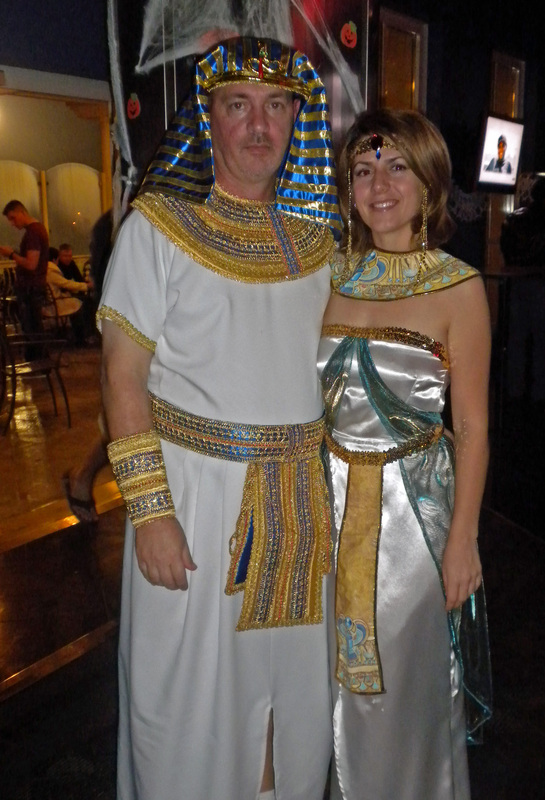 King Tut and his Queen. 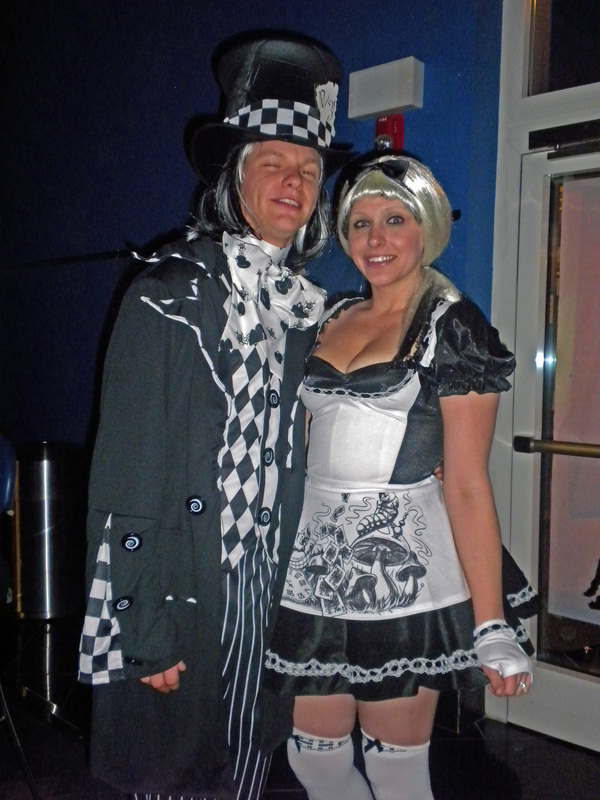 One of the best couple’s costumes of the night. The Angry Birds. I give them props for their sincerity, because they really did walk around all night with those looks on their faces. They should have made one of their friends dress up as a green pig. The Banana Man had a Grape companion, but I didn’t get a good shot of them together. 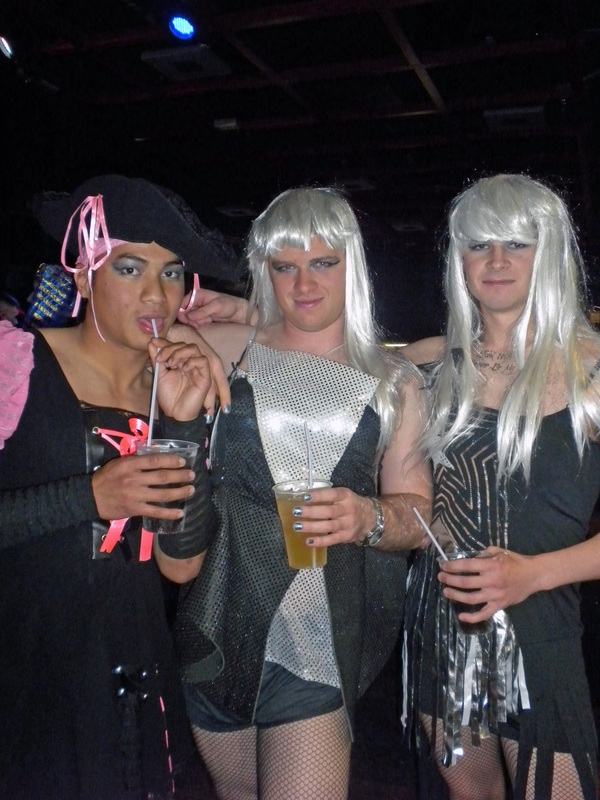 These drag queens were fantastic! 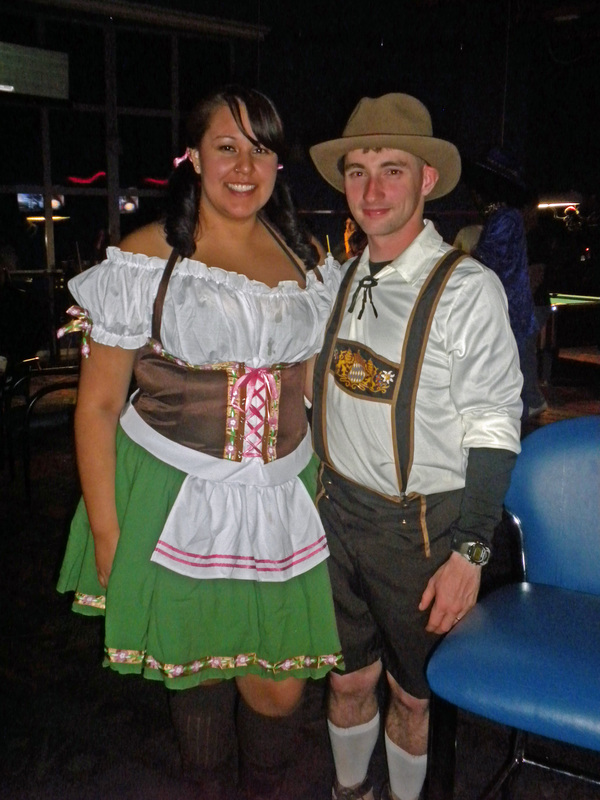 Seeing this super-cute couple dressed in the traditional Bavarian outfits made me decide that I absolutely have to buy my own German outfit this year! 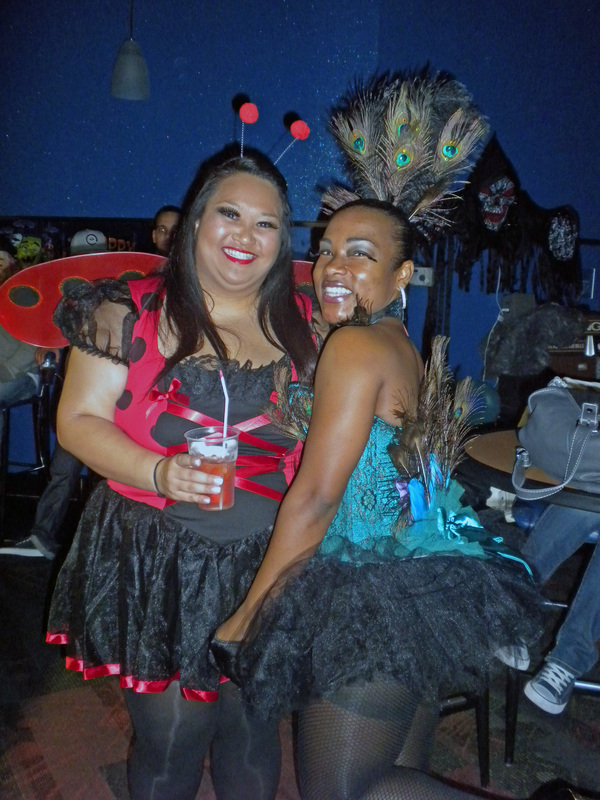 The Lady Bug and Peacock were some of my favorite costumes of the night. 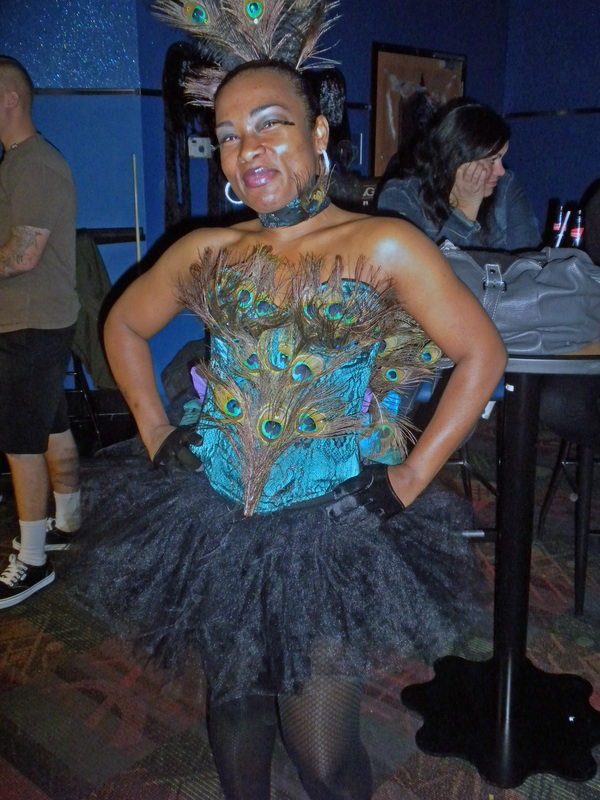 The Peacock outfit looked even better in person. 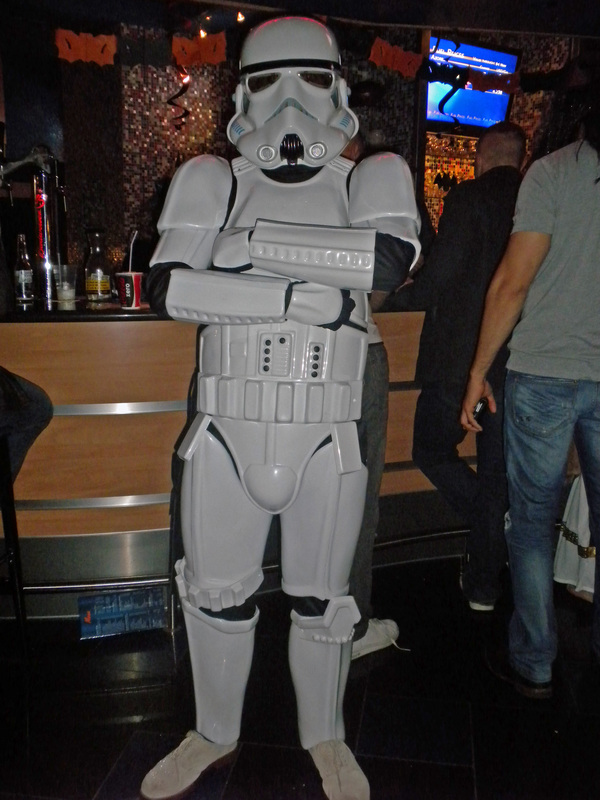 I was surprised that the Storm Trooper didn’t win a prize in the costume contest, but I think the Zulu warrior won third. The gothic take on Alice in Wonderland is cool, but Alice just looked like a french maid unless she was standing next to her Mad Hatter. I think this is my favorite picture of the night. 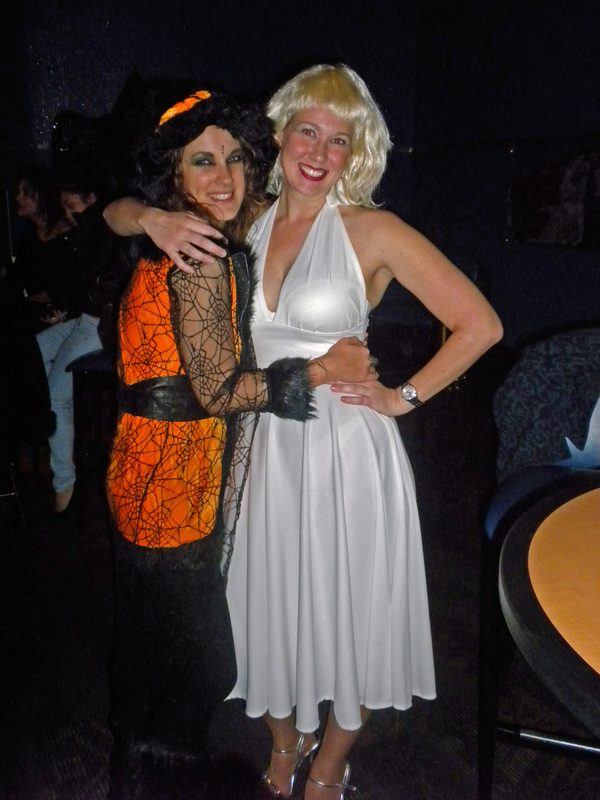 When I arrived at the party my friends said they had already approached the other Marilyn thinking she was me so I had to go find her and get a picture. Happy Trick or Treating Everyone! 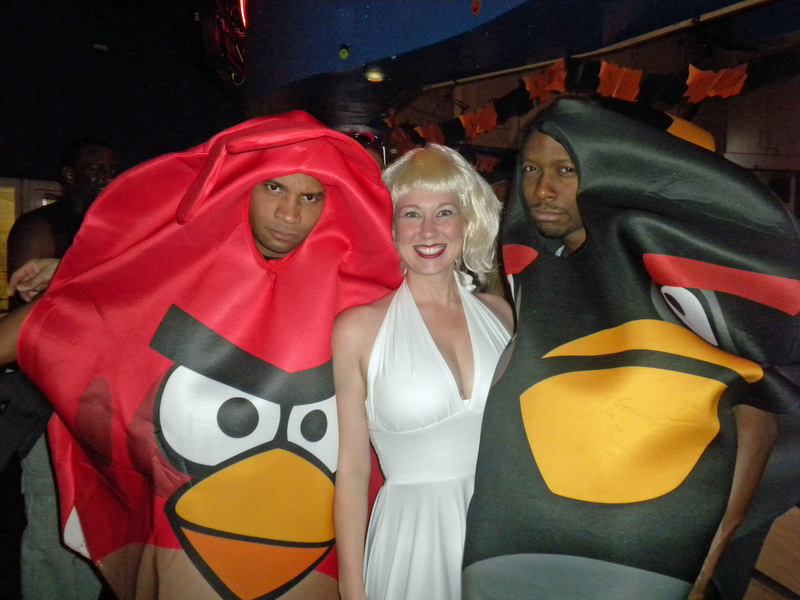 This entry was posted in Uncategorized and tagged Halloween, Holidays. Bookmark the permalink.